Indian Kitchens are becoming modern with latest kitchen cabinets with counter tops and built in Kitchen sink. 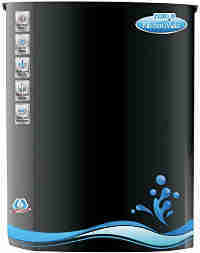 Keeping with this modernisation of the Indian Kitchen, we must go in for the so called Under-the-Counter or Under-Sink Water Purifiers that are designed for use with the built in sinks in our modern kitchens. 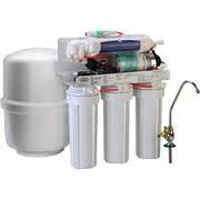 Under the Counter Under-Sink RO Water purifier is better than Wall Mounted or Counter-top RO Water Purifier for kitchens with built in cupboards and sink. Wall mounted water purifiers were designed specially for the traditional Indian kitchens where there were no kitchen cabinets nor built in sink. The under-the-counter/sink RO unit is specially designed for use with modern kitchens and is the most widely used type of water purifier in Europe, USA and other advanced countries. The water comes out of the faucet with good pressure and flow since the purified water is stored in a large hydrostatic air pressurised bladder tank under the counter. The pressure in the hydrostatic tank of the undersink RO always good, since it gets filled with purified water automatically, with the full pressure of the electric pump of the undersink RO unit. When there is no electricity, you still get purified water with good pressure from hydrostatic water storage tank of the under-sink RO unit through the purified water tap or faucet. 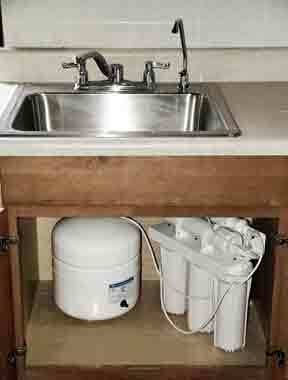 The pressure is always very good from the undersink RO purified water tap or faucet. In a wall mounted water purifier, the purified water flows by gravity from the storage tank of the wall mounted water purifier and the pressure and flow of water is slow and takes more time to fill than from the under-the-counter RO faucet. You need to hold the bottle while filling and also to be very careful that water does not spill since it will fall on the floor. Since there are no design limitations regarding size of an Undersink RO water purifier, full size 10 inch sediment and activated carbon pre-filters are used and a bigger air bladder presurised water storage tank included. 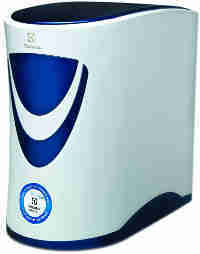 This is not the case with wall mounted or counter top water purifiers, due to design limitation of having to fit all the water purifier parts and pure water storage tank inside a cabinet of limited size. So counter top/wall mounted water purifiers have to compromise by using smaller, non-standard filter cartridges and smaller pure water storage tanks. 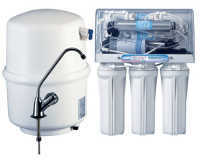 The non-standard replacement parts in a counter-top/wall mounted RO water purifiers tend to be more expensive than the more efficient and bigger standard size 10 inch pre-filter cartridges of an under-the-counter water purifier. 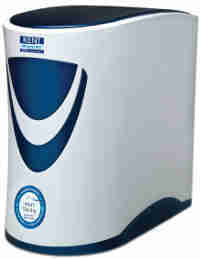 So service charges for under-the-counter water purifiers tend to be cheaper.